Top 10 Reasons the Treasure Coast Chooses Cooke’s! 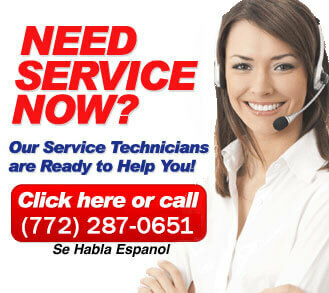 Looking for a plumber or septic service near you? You’ll find a lot of options on the Treasure Coast sure. But only one septic and plumber company in the Stuart and Port St. Lucie area has close to over 1,000 5 Star Reviews Online! That company is Cooke’s Plumbing and Septic, your best choice. Why do Treasure Coast homeowners and business owners choose Cooke’s? Well, they all have good reasons, but we thought we’d survey the top 100 reviews to find out which themes were in common as the best reasons for choosing Cooke’s. Here are the TOP 10 reasons our customers say they choose us for their septic and plumber work along with particular reviews / testimonials about that particular reason. ( There are so many to choose from, we just chose one typical example ). 1. PROFESSIONALISM – They are very professional – friendly, courteous and polite, clean, and respectful. My septic technicians were awesome to work with. On time, great service, excellent company. Very polite and could explain any questions you had. A pleasure to work with. I will tell all my friends and clients about this company and especially the customer service. A1! 2. PROMPTNESS – They are extremely prompt and get the work done as quickly as possible. Justin T was an amazing service technician. He was prompt, efficient and friendly. In addition, Cooke’s Plumbing dispatched Justin within a few hours after my calll. I would HIGHLY recommend this company and Justin T if you need a plumber. 3. REASONABLE PRICING – They are reasonably priced. If you do need to save some money – check out these coupons! I highly recommend Cole and Cooke’s Plumbing. Absolutely top notch and very fairly priced. 4. COMMUNICATION – They communicate very clearly, explain themselves, even send pictures and show options in a simple to understand way. 5. QUALITY – They get the septic and plumbing repairs done right the first time. My septic plumber was an amazing. He worked with Kohler to get the right parts replaced under warranty. He troubleshot the tankless hot water heater and made it operational again. He made recommendations for items to maintain on my own and more! His professionalism, advice, recommendations, and work were nothing short of spectacular. I highly recommend Cole and Cooke’s Plumbing. Absolutely top notch and very fairly priced. 6. GOING THE EXTRA MILE – They go above and beyond to make sure the job is well done. Cooke’s delivered so much more than I expected in service. Their prices are very fair. Drew was so polite and extremely informative. We thought we needed to dig up our drain field out here in Stuart, but all that it needed was attention to the filter. They cleaned it up and tested the drain field and it was just fine. I will definitely be calling Cookes again. Thank you!!! The plumber was very thorough. He made sure the filter was clean, and even checked the outflow tract for obstructions. I am very appreciable that a bad situation was prevented from being a lot worse. Kudos the entire Cooke’s team! Working with my septic plumber was by far the best customer service experience I have ever had the pleasure of dealing with. I had dealt with several other companies but he pointed me in the right direction and made my situation stress free. Thanks Cooke’s for all your help! My plumber was so extremely friendly and super helpful and knowledgeable. Came out to my home at the scheduled time and was able to have us up and running again in no time because he knew just what to do so he did it quickly without taking hours and hours. He also took the time to explain the issue so you understand it and what the charges. THANKS COOKE’S!